Merriam Webster defines culture to be; “ a particular society that has its own beliefs, ways of life, art, etc.” Westwood, Massachusetts carries its own culture, I would say a big influence on this would be the town’s wealth. Being ranked at 15th wealthiest town in Massachusetts, there is a certain impact on the town’s culture. Majority of the cars you will see whipping around the long woodsy roads are BMWs, Mercedes, or something in that realm. Majority of the homes in Westwood are fairly large estates, with long drives, and a big yard. The culture is greatly impacted by materialistic things like such, not in a negative way, but just in the way the town functions at a high standard. Westwood is the type of town that your parents grew up in, and there parents, and their parents parents. There is a great deal of legacy in the town. This brings a lot of community involvement to school events,and other town happenings. During the school year sporting events are a big part of the communities culture, whether you are a participant, fan, or volunteer! 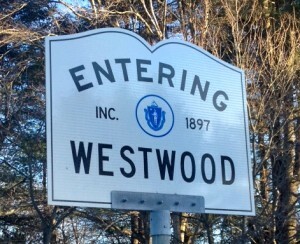 However summers in Westwood can feel a bit lonely sometimes, most families go away on vacations, or down to The Cape.